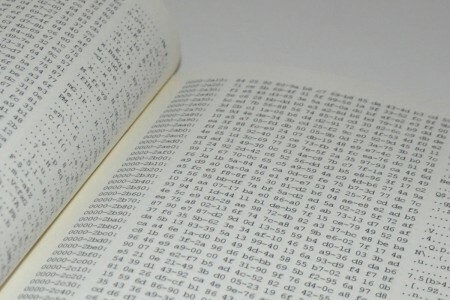 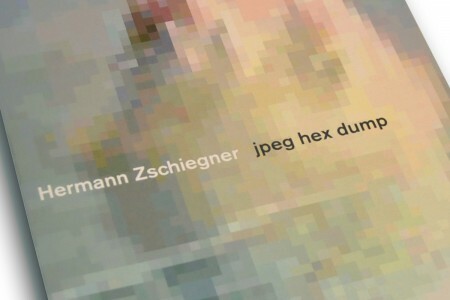 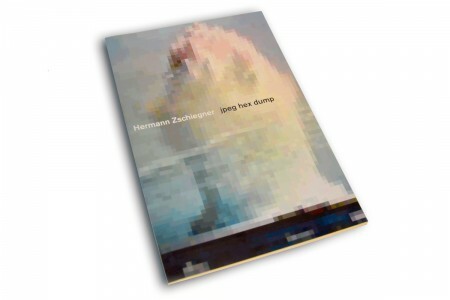 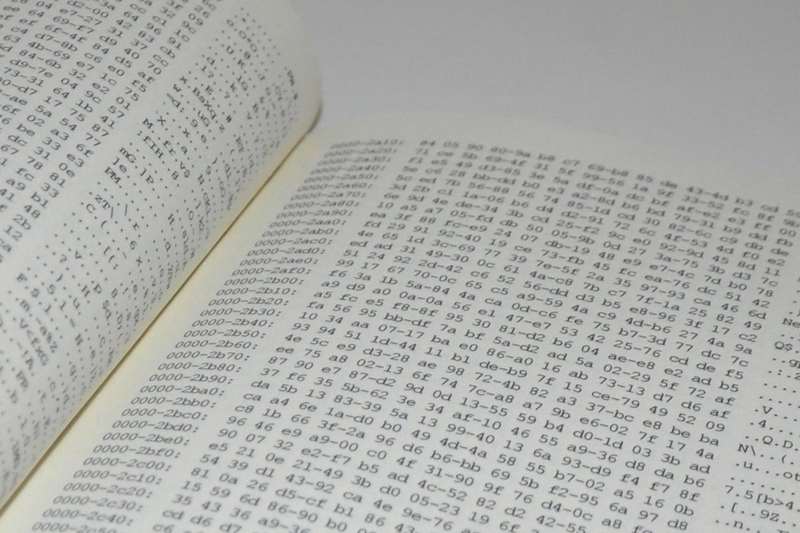 The book contains the hex dump, a hexadecimal view of a jpg file with the corresponding ASCII (American Standard Code for Information Interchange) text translation. 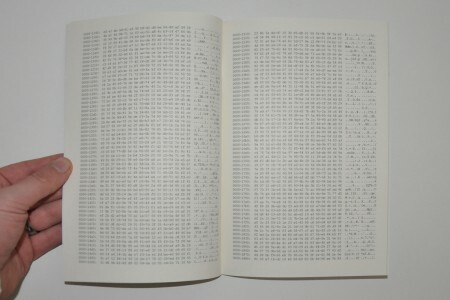 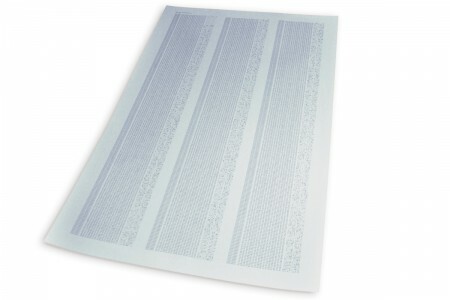 This is the way a computer views the image file content from the Random-access memory, byte-by-byte. 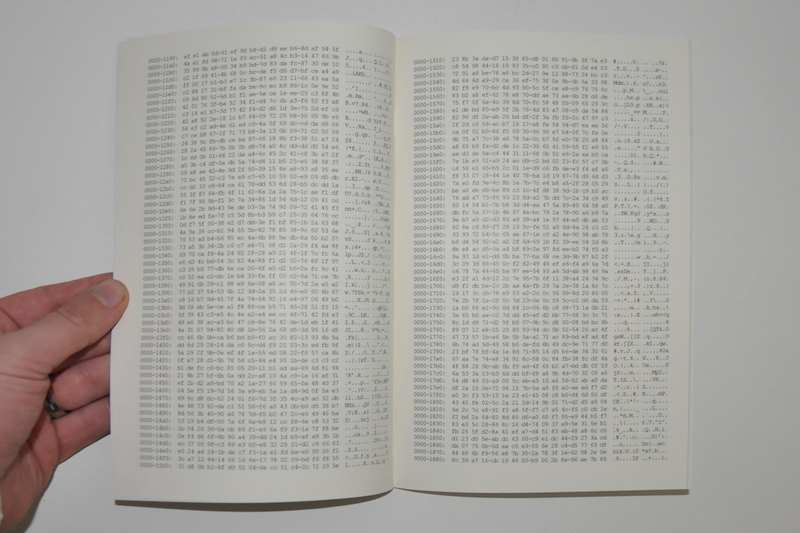 There is also a gelatin silver print (diptych, 2X 20/30″) available on request.